The 4 Bank International Battery Tender Charging Station! Operates Anywhere in the World! 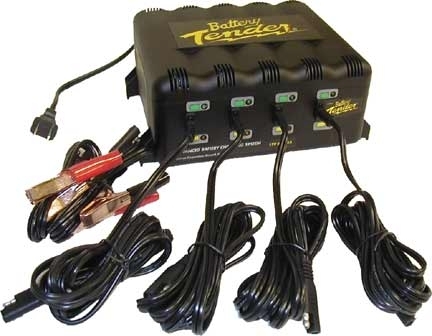 The 4 Bank Battery Tender Charging Station is four encased 1.25 amp battery chargers designed to fully charge a battery and maintain it at proper storage voltage without the damaging effects caused by trickle chargers. This charger will operate anywhere in the world!